A Safe-Hub that will give approximately 2000 youngster from grades R to matric in Diepsloot north of Johannesburg regular access to a safe environment for facilitated sports, arts, life skills lessons, personal development, accredited training courses – and the opportunity for a better future – was officially launched on 3 February at Muzomuhle Primary School. 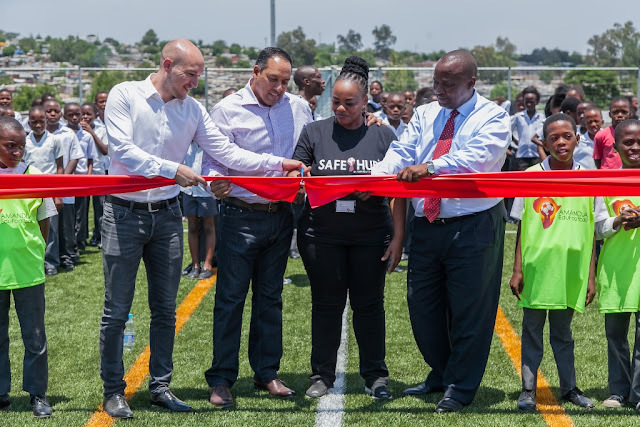 The Diepsloot Safe-Hub was funded and built by AMANDLA EduFootball (AMANDLA) in collaboration with the Oliver Kahn Foundation and Tsogo Sun’s flagship entertainment destination, Montecasino, as part of its CSI activities. The implementation of the on-going programme will be delivered by AMANDLA through a funding partnership with Montecasino, representing an investment of close on R4 million over three years, together with other potential partners. This is the third Safe-Hub in South Africa and the first in Johannesburg. The other two are located in Khayelitsha and Gugulethu-Manenberg in the Western Cape. AMANDLA is an international Non-Profit Organisation and owner of the internationally acclaimed Safe-Hub model, whose mission is to create safe spaces that bring together the power of football and learning to empower youth and change lives. The Safe-Hubs provide a comprehensive, integrated set of youth development services in collaboration with the local community, using football as the key driver of engagement and retention. Each Safe-Hub acts as a multi-purpose community hub where people can access a range of education, health, accredited training and enterprise development services, providing a viable and attractive alternative for young people to get involved in positive activities. At Safe-Hubs young people are encouraged to explore their individuality, build a core set of values, and strengthen their ability to deal with the challenges they face in life. At AMANDLA’s two Safe-Hubs in Gugulethu and Khayelitsha, research shows that the programmes there have resulted in a reduction of 44% in crime and violence within the Safe-Hubs’ catchment areas and a 49% improvement in maths and English school results. 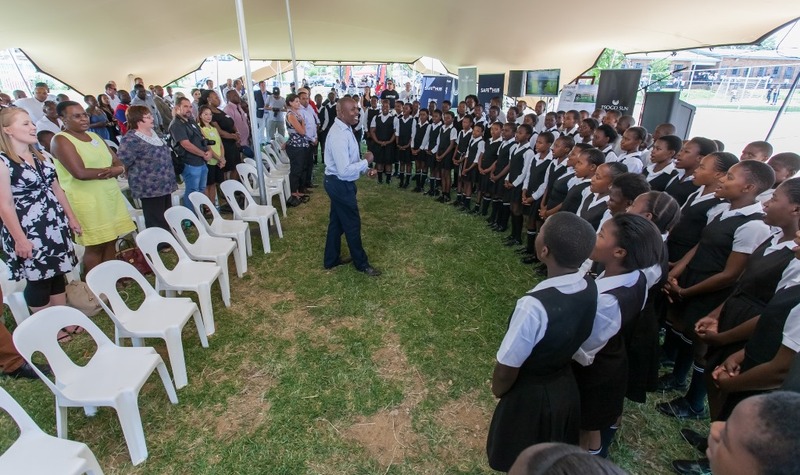 The new Safe-Hub in Diepsloot will offer a wide set of youth development activities, and will incorporate a range of existing programmes that Montecasino is already running in several schools in Diepsloot. These include athletics, chess and arts, all of which are designed as a platform for growth for young people. Says Montecasino GM, Glenn Joseph, “Diepsloot is on our doorstep, it is home to many of our staff members and is a focus area for many of our CSI initiatives. The safe-hub will provide a welcome and safe environment for positive development, fun, and stimulating activities for children and young people.” The easy accessibility of Diepsloot from Montecasino also provides Montecasino and Tsogo Sun head office staff members with opportunities to volunteer at the safe-hub, helping out with the range of activities on offer. 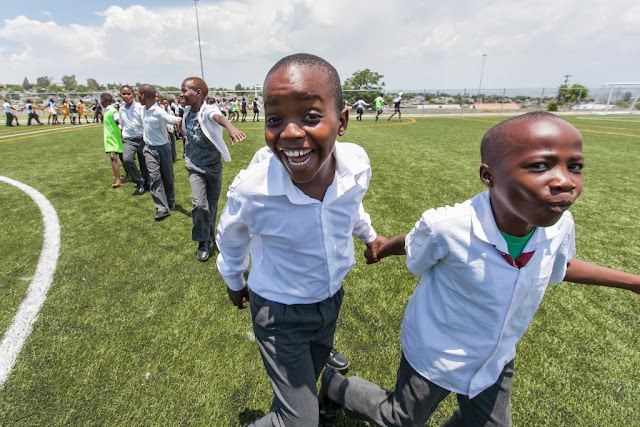 Muzomuhle Primary School was chosen as the ideal site for the Safe-Hub as Montecasino has been working with the school, offering various programmes, for more than four years. “The school governing body has always been positive and enthusiastic about our involvement – and they welcomed the opportunity to increase their contribution to the children of the community by providing the premises for the safe-hub. The school is also the biggest and oldest in Diepsloot, with more than 2 300 learners from grades R to 7, and it is in a central location, making it accessible to young people from all over Diepsloot,” says Joseph. Substantial progress has already been made in the development of the Diepsloot Safe-Hub. Phase one, which comprised the football component, kicked off in December, while plans and preparations for phase two were finalised. Key appointments were made, including that of Thobekile Buthelezi as manager of the Diepsloot Safe-Hub, along with two members of the Diepsloot community who are being mentored to become facilitators to run the football and life skills activities. Phase two, designed pro bono by South African architectural firm DHK will be completed during 2017, comprises a two-storey building on the school premises where the arts and sports life skills lessons, a youth café, a computer lab, and other personal development initiatives will take place. “We are already in discussion with other organisations and corporates about collaborations on programmes that will contribute to the development of the youth in Diepsloot,” says Joseph. For example, it is envisaged that the youth café will be a conduit for accredited training in the food & beverage sector, in skills such as cooking, waitering, and other possible job opportunities. Security company, Servest, has come on board and is providing security for the premises, and a major corporate is considering establishing a computer lab, with appropriate facilities and services for training.